Two Greek cardiologists managed to save a 54-year-old woman’s life during a flight from Lisbon to Zurich. 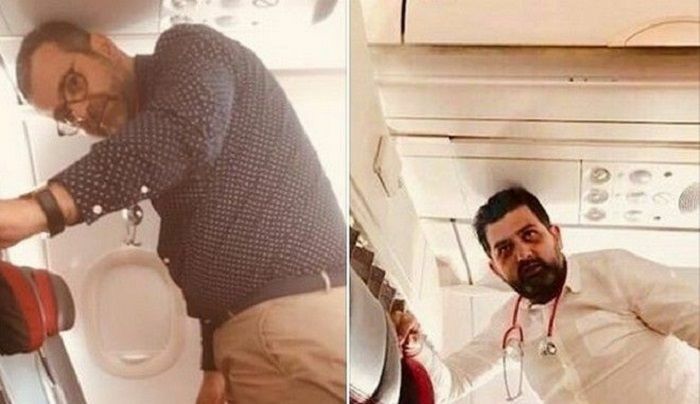 The woman suffered a heart attack while the plane was in flight and two Greek cardiologists, Giorgos Angelopoulos and Nikos Spiliopoulos, came to her aid and saved her life. The two doctors from Aigio, a port town on the Gulf of Corinth, boarded the TAP flight and were returning to Zurich after attending a medical conference in Lisbon. Using minimal equipment the two experienced cardiologists sprang into action, working in unison to resuscitate the Swiss woman who was on the same flight. The plane landed at Zurich Airport after the doctors had managed to stabilise her condition. The patient was immediately transported to a hospital.